I was just talking about how professional and polished yet paint-by-numbers and predictable Bridge of Spies was and I juxtaposed it with the other film I watched this weekend – Cop Car. With a fraction of Spielberg’s budget, writer-director John Watts’s second feature is inventive, engaging and darkly comic. Two boys are running away from home when they come across what appears to be an abandoned police cruiser, and, as boys will be boys, they take it for a joyride around the fields and deserted highways of Colorado. 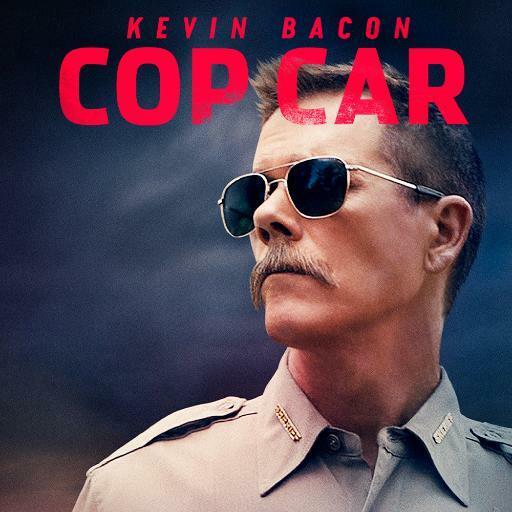 Turns out the car belongs to a crooked county sheriff (Kevin Bacon), who lost the car to the boys in the middle of dirty business. He races against time to find them, and what follows is often thrilling and occasionally inspired. But what elevates the material is an intelligent dialogue between two boys, with one foot in the world and the other in the imagination. As they confront real danger, Watts revels in their innocence yet uses it to amp up the tension. A great deal happens to these boys, but there is no scene more gripping than when they handle firearms as if they are as harmless as the ones on Playstation. The film isn’t without faults. It drags a bit here and there, and ultimately, its charms succumb to a more pedestrian action thriller. But it maintains a sly sensibility, and it trusts its audience to have patience and get the drift. The same can’t be said for Spielberg, who rarely extends such trust, opting for the sledgehammer. A beautifully crafted and polished instrument, but a blunt one nonetheless.